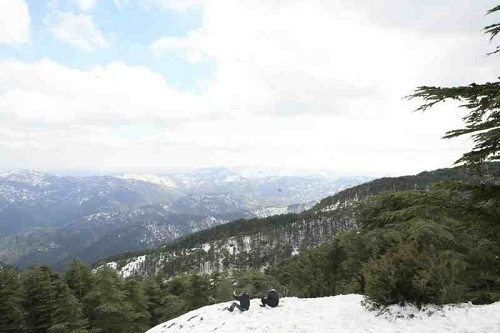 The ski resort of Chrea can be found in the Tell Atlas Mountains of the Chrea National Park just a few kilometres from Algiers in Northern Algeria. The area has a turbulent history with the slopes unused between 1992 and 2002 when the area was taken over by the Islamic group GIA. The hotels were partially demolished and many of the locals had left in fear. Today the spectacular resort is picking itself up again and is protected by the watchful eye of the military. The area is one of great natural beauty with pristine forests and a great variety of wildlife. The slopes are suitable for skiers of all abilities and there is a good variety of accommodation. The slopes rise to some 1500m and are accessed via 2 gondolas and one surface lift. This is the only ski centre in southern Africa and is situated at an altitude of 3322m in the Maluti Mountains of Lesotho. This nation is completed surrounded by South Africa with the resort some 80km from the border and accessed via the spectacular Monteng Pass a newly re-surfaced road which can, none the less, suffer from the odd pothole! AfriSki is a co-operative of service providers which has its own website enabling you to access all the information you need and book your accommodation in one of the lodges, apartments and chalets on offer. The 1.4 km of slopes can be reached via two lifts and a ski school is available. Lesotho is in the southern hemisphere and so the season runs from June to August. 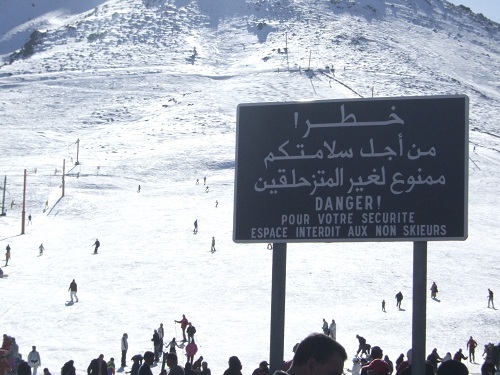 If you are visiting the souks of Marrakesh in Morocco and fancy a bit of a diversion then head 45 miles south into the Atlas Mountains and try skiing at Oukaimeden. The village sits at an altitude of 2600m with the chairlift rising to 3268m where there are 5 runs to choose from. Lower down four surface lifts service the junior slopes. There are 20km of runs at the resort where, unusually, travel between lifts is not by shuttle but by donkey! The runs are largely poorly prepared and you can be plagued by unofficial guides touting their services but the antiquated nature of the resort could be about to change. Dubai based company Emaar are planning to invest £1 billion into improving the infrastructure in the area including updating the lifts and building 11 hotels. The African continent could be just the ticket if you are looking for a ski resort with a difference. There are certainly some challenges to overcome as Lesotho is quite a journey, Algeria has safety issues with rebels and Oukaimeden is still firmly entrenched in the 1970’s but for the intrepid traveller there are some memorable options to explore. Sally S writes on a variety of subjects including travel, extreme sports and music, representing websites offering products as diverse as bargain ski wear , furniture and lingerie! This entry was posted in Africa, Skiing, Travel, Winter Sports and tagged africa holidays, africa travel, africa vacations, ski holiday, ski holidays, Ski Resorts, ski vacations, Skiing, Skiing in Africa. Bookmark the permalink.